The Accusation Is the First Internationally-Released Fiction Book by an Author Still Living in North Korea. You Should Read It. There are few places left in the world that are mysteries. The Internet has made it possible for closed countries to become more accessible; even countries with Internet restrictions often see censorship undercut by the cottage industry of VPNs and proxy servers. North Korea, of course, is the exception. The publication of Bandi’s The Accusation is a clear example of North Korean isolation. The book is the first work of fiction to ever make it out of the country—although works by writers in the diaspora have been published, never before has the work of an author still living in North Korea been published outside of the country. The average American knows so little about North Korea, which continues to make headlines for its nuclear missile testing, that Bandi’s short story collection is revelatory. Written between 1989 and 1995, The Accusation’s seven tales examine the authoritarian regime’s impact on daily life during Kim Il-sung’s reign and the time immediately following his death. The stories also take place against the unspoken backdrop of the so-called “Arduous March,” the state’s name for a famine that killed an estimated one million people in the 1990s. Author Boris Pasternak characterized the Soviet Union as “want[ing] you to hate the things you love and to love the things you despise.” A similar theme runs through Bandi’s work; his characters repeatedly experience moments when their reactions to loss, pain, the government or circumstances are deemed inappropriate, forcing them to act against their instincts. A family is punished when their infant son mistakes a portrait of Karl Marx for a folk monster and they fail to correct his behavior. A man desperate to see his dying mother is repeatedly denied travel privileges, leading him to forego the usual procedures at his own risk. Citizens, who are expected to sacrifice the self to the whole, are beaten down by the state’s constant pressure. 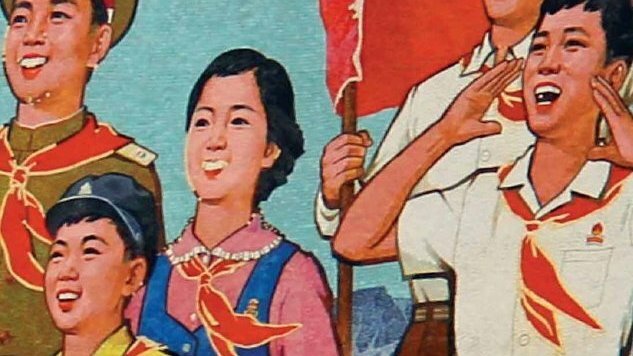 A far cry from the brainwashed zombies popular culture imagines, Bandi’s North Korean characters paint a realistic portrait of what it means to live under a tyrannical government. According to literary legend, when Pasternak handed over his manuscript of Doctor Zhivago to be smuggled out of the USSR in 1957, he said, “May it make its way around the world.” It’s an image of bravery, made all the more striking considering the harassment he and his loved ones suffered following the book’s publication, as well as his death three years later. It’s also a saga we’ve witnessed many times: one person standing up to authoritarianism with literature, putting himself on the line to expose the truth. Aleksandr Solzhenitsyn, a Russian writer who published works critical of the USSR and to whom Bandi has been compared, spent time in labor camps and in exile. His work One Day in the Life of Ivan Denisovich was eventually published in the Soviet Union in 1961—during a more lenient period after Khrushchev came to power—but soon potential liberalization gave way to more conservative voices, and the government worked to silence him despite growing international fame. The outside world rallied with petitions, but he was not allowed to travel to accept his Nobel Prize in 1970. Like Golshiri and Solzhenitsyn, Bandi has chosen to stay in his native country despite the threat he now faces. But unlike the revolutionary writers, Bandi still remains a mystery to us. His name isn’t known, and it’s unclear if anyone is still in contact with him. Should Bandi be found out, there would be no significant international pressure placed on the North Korean government to protect him. Yet Bandi, whoever he may be, has made history. He’s illuminated the daily life of North Koreans, presenting them as human beings living in—and in spite of—extraordinary circumstances. The Accusation, which is a triumph simply for existing, places Bandi in the canon of dissenting literature. Now we can only hope to read more of his work.